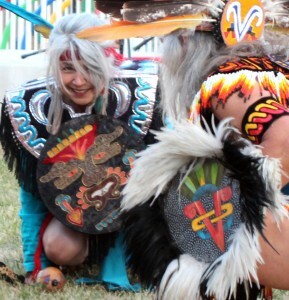 Sally Moon lives in New Mexico and is the woman behind Wild Moon LLC which is comprised of W!ld Moon Leather Designs™, W!ld Moon Boutique™, and Sacred Path of the Jaguar™ (guided tours to sacred sites. )Sally was a corporate woman for 21 years in California. She was offered an early retirement and took it at 40 years old. She went on her spiritual journey and learned Native American ways. She was initiated with a Sacred Pipe in 1994. In the tradition, she was required to make her own leather Sacred Pipe bag. She did not have a clue on how to do this. She met a teacher in New Mexico and this is where she made her first bag…her Sacred Pipe bag. Shortly afterwards Sally went on Vision Quest, where she received two powerful insights. One was to make leather designs, clothing, and bags to support her “spirit” work. Her second insight “on the hill” was her “loyalty” to women. Sally has developed her own style and expertise, which she now calls “wearable art”. She also teaches leather bag classes during off-season. Here she inspires others to develop their own special style. Sally’s purpose has been to assist women in their spiritual and personal transformation. She believes in honoring the “feminine principle,” a way of life that respects and honors “being” a woman. Sally practices and empowers others to be their authentic Self. Sally Moon has been on her conscious spiritual path for more than 35 years. 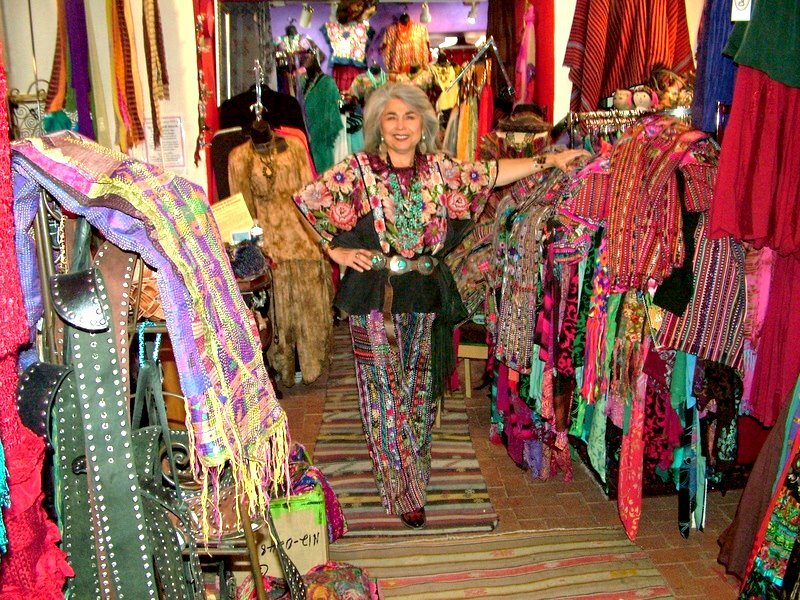 She believes that, “Life is a ceremony,” and in that ceremony, you give thanks for All!” Sally leads monthly spiritual ceremonies at the Temple of Light, housed in the W!ld Moon Leather Designs™ – Design House & Showroom in Old Town Albuquerque. In 2004, Sally began dancing and connecting with her Mexihka (Aztec) roots in the ceremony of La Danza, more commonly known as Aztec Dance. She is proud to be a member of the Aztec Dance group, Ehecatl Kapulli, lead by Paz in Albuquerque. Sally is rounding-out her Spiritual Walk on the “Red Road” by studying and practicing the Peruvian Shamanic Tradition, Munay-Ki. She is an initiated Kuraq Akulleq (4th Level Shaman Priest and Wisdomkeeper) in the Inca Tradition of the Andes. She has incorporated these ways in her healing practices. Sally Moon sends a heart filled “Thank You!” to all her teachers, for whom her work would not otherwise be possible.